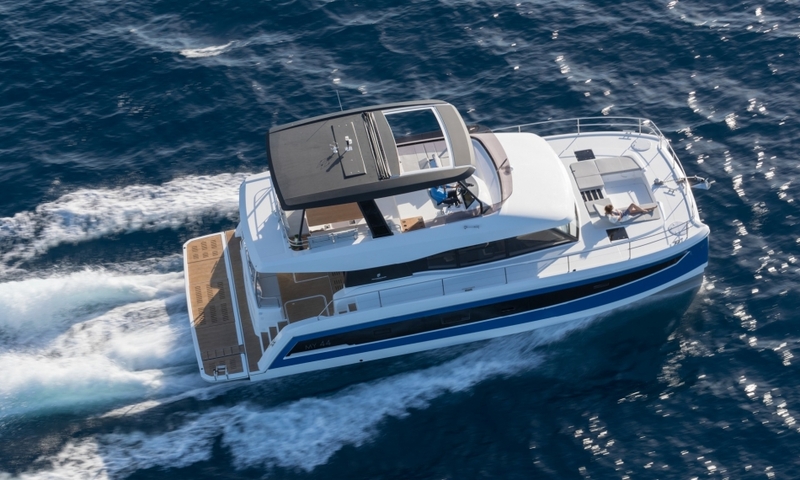 The Dufour 48 Catamaran is the first in a new multihull line to be launched for charter and private ownership. 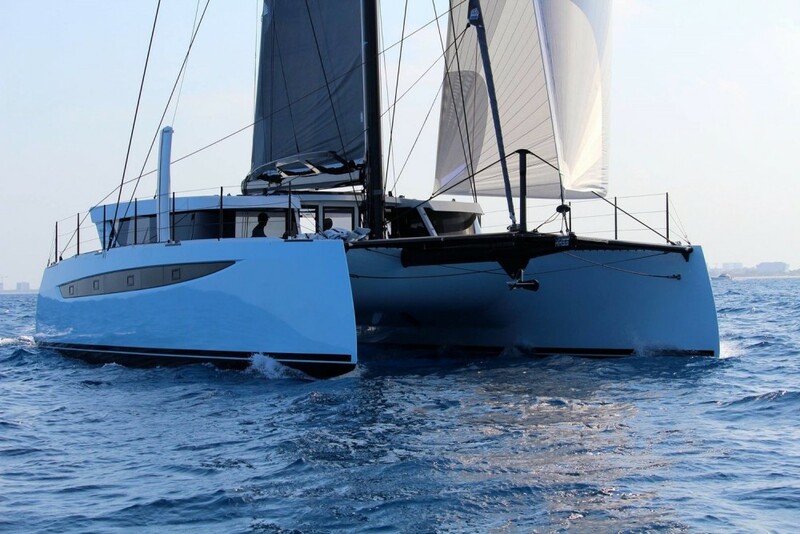 The world is going to the cats—multihulls that is. And it’s no surprise really. 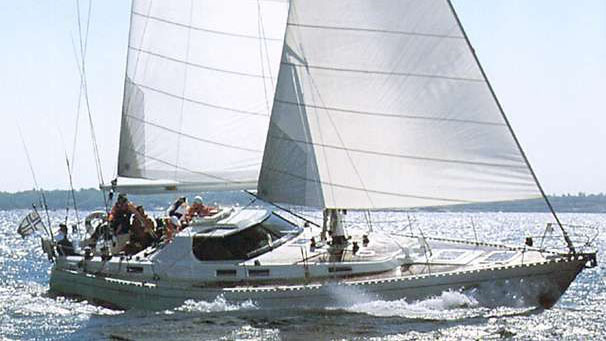 Boats with two hulls have been growing in popularity for their stability, livability and extensive use in charter. 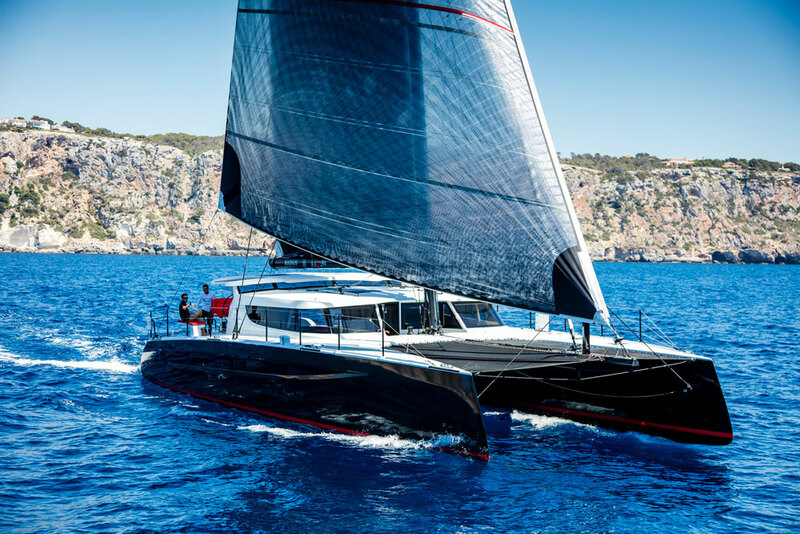 It seems that major brands of monohull production builders already have an associated cat line: Beneteau has Lagoon and Bavaria bought Nautitech, so it stands to reason that French builder Dufour has gotten into the game with the Umberto Felci-designed Dufour 48 catamaran. 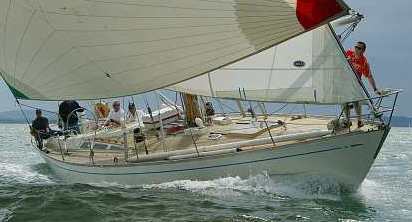 Dufour’s range of monohulls runs 30-63 feet (both Grand Large and Exclusive lines). The brand has been making significant progress in the American market, gaining consumer adoption and a growing dealer network. 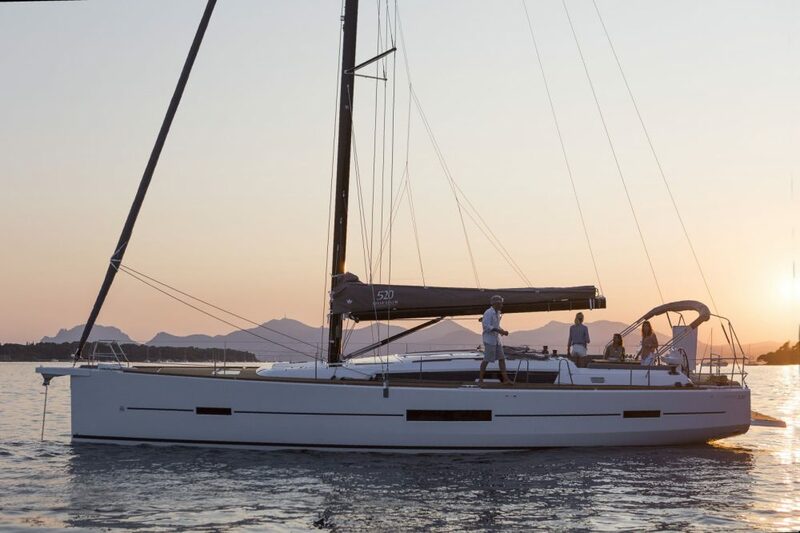 It’s not clear how the French company will go about building awareness for their new multihull line and whether they will use their existing dealers or look to new ones. Dufour's new design focuses on outdoor living—providing multiple areas for comfort and relaxation. Dufours have gained a reputation for innovative thinking and exceptional comfort with outdoor entertainment areas built in and around the cockpit. With this in mind, Felci’s design focuses on outdoor living starting with an enormous flybridge. An L-shaped settee forms the perimeter of the upper deck to the port side and just aft of the single helm seat to starboard. Amidships is the line control center with two winches and a large sheet bin, and just ahead of the helm is a double sunpad with a safety railing. Access to the flybridge is from both port and starboard steps. 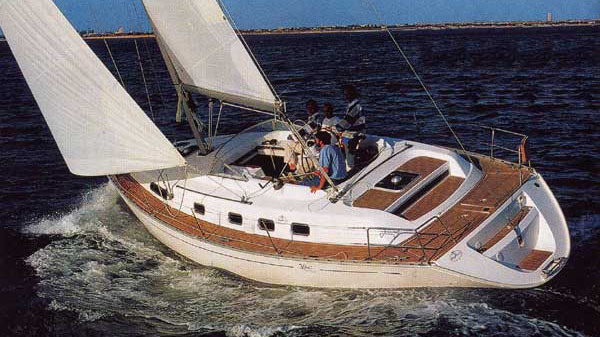 Overhead, a bimini will provide shade for guests and a small hardtop will protect the captain from the elements. Twin multifunction displays and engine controls are close at hand by the wheel. Visibility is excellent in all directions except to the transoms so docking in reverse will require assistance. The second outdoor space is the 26-foot wide cockpit with seating for eight to port. A lounge is to starboard and the entire transom serves as a seat unless the optional BBQ is spec’d. There is a choice of standard dinghy davits or a hydraulic platform that measures 12 feet across. That makes a lovely teak beach and helps the less mobile to board without the use of a swim ladder. The level changes have been kept to a minimum as is evident from the transoms where only two steps bring you up onto the cockpit deck. 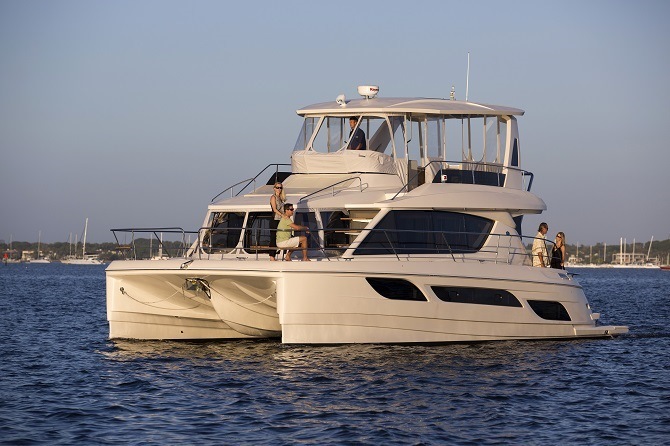 With room for up to 12 overnight guests, the 48 Catamaran has options for 3-5 cabins and up to five heads. This cat is rated for 12 overnight guests. That may work for Europeans that like to pack their boats, but Americans will probably feel full at just eight. The layout is available with 3-5 cabins and up to five heads. The owner’s version includes a master suite that takes up most of the port hull, leaving the bow clear for either fender and line stowage or a crew cabin. The stateroom is remarkable for the amount of built-in stowage space, the large outboard facing desk amidships and designer touches like the large vessel sink in the head. The starboard hull normally holds two guest cabins and heads plus a day head and service room that may be built out into an additional single bunk cabin. Each of the two standard cabins in the starboard hull has its own access stairway for maximum privacy. On the main deck is an impressively large L-shaped galley and island to port, a convertible settee just ahead and a dedicated navigation station in the starboard forward corner. Here’ you’ll find repeater instruments as well as autopilot control so it’s possible to drive from inside when the weather isn’t cooperative. Charter companies that lost many catamarans in the Caribbean hurricanes of 2017 are eagerly awaiting the arrival of new boats so Dufour seems to have perfect timing with this introduction. As Lagoon and Leopard ramp up to fill the demand on the western side of the Atlantic, Dufour will fill charter orders in the Mediterranean starting with Croatia in 2019. Chances are Dufour will work with any charter company looking for an upscale 48-footer but time will tell if they’ll align with one particular charter brand as others have done to date—Leopard works with The Moorings, Bavaria supplies Horizons, Bali leads with the usually brand-agnostic Dream Yacht Charter and Lagoon fills in gaps with everyone. It’s also reasonable to expect that a powercat version won’t be far behind. Our team at boats.com eagerly await sea trials on the first of these luxury cats, both power and sail, and we will have a full report as soon as possible.